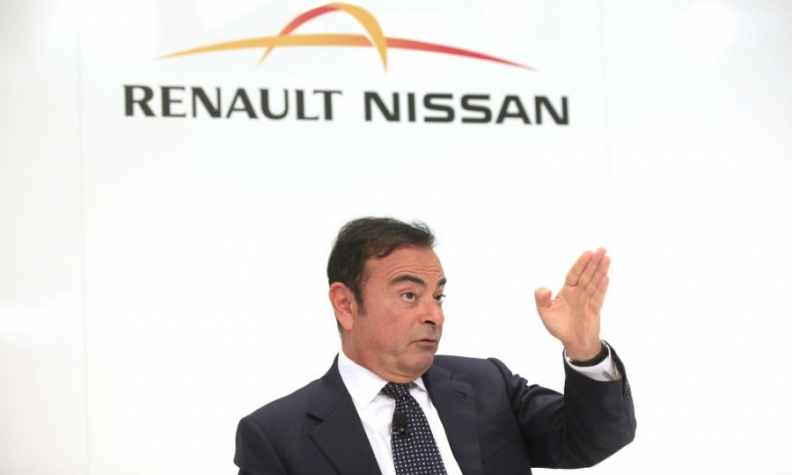 Ghosn: 'Big recovery' in Europe. RIO DE JANEIRO (Bloomberg) -- Global carmakers will see rising demand this year as sales in China and the United States expand and Europe starts to grow again, Renault-Nissan CEO Carlos Ghosn said. "There is a big recovery coming in Europe" after five years of contractions, Ghosn said at the opening of a Nissan plant in Resende, Brazil, on Tuesday. Elsewhere there are "lots of bright spots in 2014, and without any doubt you are going to have a lot of car manufacturers preparing for the future," he said. Sales in some developing countries in Africa and the Middle East also are "booming," he said. Nissan opened the 2.6 billion reais ($1.2 billion) factory in Resende, in Rio de Janeiro state. The investment is part of the company's goal to double its market share to 5 percent and become the number one Japanese automotive brand in Brazil by 2016, Nissan said in a statement. The factory will build Nissan's Platform V models and has annual capacity for 200,000 vehicles and 200,000 engines. Nissan is targeting sales of 115,000 cars this year in Latin America’s largest economy, a 47 percent increase from 78,000 sold in 2013. While the Brazilian auto market is forecast to grow more slowly than its potential this year, and possibly in 2015, Nissan will expand at a faster pace as it ramps up production of the new plant, Ghosn said. The market’s development after 2015 will be driven by government policies and infrastructure investments, he said. "There is tremendous growth embedded in producing locally," Ghosn said. "We have no doubt about the potential of the country. Now the speed at which Brazil is going to move all this potential will depend on the economic policy of the government of Brazil and also depend on how much investments are being made in terms of infrastructure. We are going to watch very carefully."